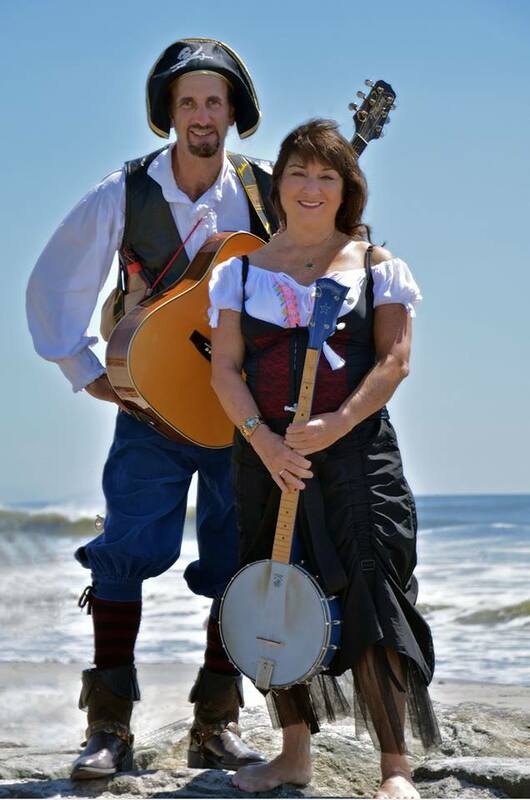 A duo singing sea chanteys and songs of the sea for audiences of all ages. Performing acapella and on guitar and banjo. You've seen the movies with Errol Flynn, Gregory Peck and Johnny Depp, but what was it REALLY like to be a pirate or sailor on a tall ship, and what is all that great music that they sang? Sea chanteys are the traditional music of the oceans, sung by sailors in the days of the great tall ships. Before the advent of electrical, diesel or steam-powered machinery, the work on board ship was done by hand; all hands would haul or heave together. Chanteys were sung to keep rhythm, and have a call-and-response structure. In the days before radio and television, chanteys were also a way for sailors to entertain themselves off-watch. Beneath their spray-roughened skin and weather-beaten faces were some very creative minds. The songs tell stories of life at sea, recounting tales of adventure, thoughts of home and loved ones and sailors’ gripes about their jobs, in a lively and sometimes hilarious manner! THE ROYAL YARD’s programs are both entertaining and educational, as the sea is an integral part of New York and Long Island history. New York City was and is a major port. Tall ships once lined the piers of Manhattan and Brooklyn - the lower East River bridges were designed with lofty masts in mind. On Long Island, Port Jefferson and Northport were ship-building towns and Cold Spring Harbor and Sag Harbor were whaling ports. Scuttlebutt Stu and Blood Red Robin can adapt their presentations for targeted audiences, including grade schools, high schools, universities, libraries, senior residences and museums. Their playful energy will get nearly any audience singing along! All programs include explanations of life aboard ship, incorporating elements of geography, science, and language - did you know that some of the most commonly used slang expressions in American parlance derive from the lingo and jargon of the sea? (Phrases like "cup of Joe", "son of a gun", feeling "groggy" and so many more!) 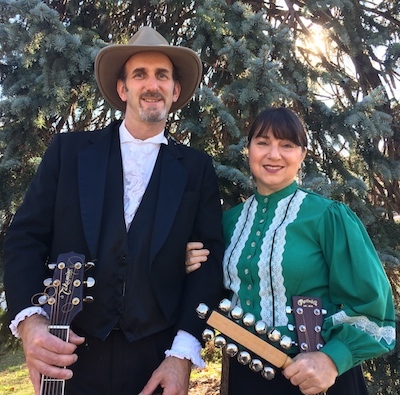 The songs cover the period of history dating from the War of 1812 to the 20th century, and include several original compositions. Stu and Robin also perform "A Very Dickens Christmas" program for December. Contact Robin for more info.